Samsung Galaxy Tab, an Android-based compact tablet computer, features a 7-inch multitouch display and displays movie with 1024-by-600 pixel resolution. Consequently, it could not be better in enjoying videos on this decent portable media player. However, you may sometimes pull your hair out when watching MKV video on Samsung Galaxy Tab because it still fails to recognize MKV, especially HD MKV, leaving it like a hot potato. No worry. This article will show you a step by step guide on how to free convert MKV to Samsung Galaxy Tab on Mac. Here, I'd like to share you a MacX Video Converter Free Edition, an all-in-one 100% free MKV to Samsung Galaxy Tab converter, letting you free convert MKV to Samsung Galaxy Tab on Mac. As a professional video converter, it helps to MKV to MP4, AVI or other format compatible with Samsung devices like Samsung Galaxy S, Samsung Infuse 4G, etc, but also transfers MKV video to iPhone. Therefore, you can enjoy videos whatever you like on the go. Step 1. Import MKV video. 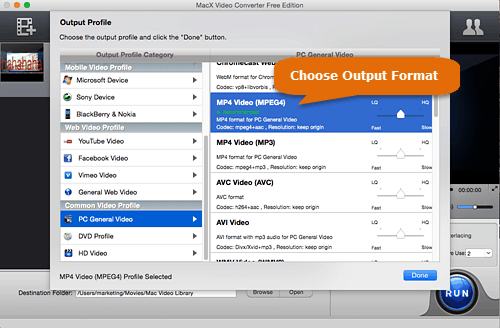 After free downloading and installing MacX Free Video Converter, click "Add" button to import MKV video. If you want to convert MKV to Samsung Galaxy Tab, please select "to Android" and you can find the specific output format. Click "Start" button to start converting MKV to cc Samsung Galaxy Tab. You can view the conversion progress and cancel the converting process at anytime. Tips: MacX Free Video Converter lets MKV to Samsung Galaxy Tab conversion process quite simple with high video quality. In addition, it also can convert popular video formats, such as FLV, AVI, MP4, MOV to video format playable on iPhone, iPad, iPod. In this article you can get a step-by-step guide on how to rip dvd to samsung galaxy tab on mac. Therefore, you can watch the DVD movies you desire with the MacX DVD Ripper Pro on the go. 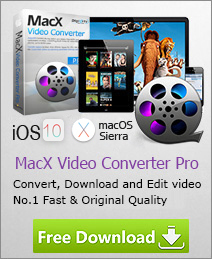 MacX Free Video Converter is a 100% free video converter, making it easy to convert MKV to any video format for playback on android phone.